Sometimes (almost always), less is more! You do not have to think that every roof-line, tree, shrub, and column at your house need to be decorated to have a beautiful display. Pick a few focal points of your property. One or two display items done really well will have much more impact than an entire property done poorly. A unique roof line with a couple nice gables, may be ideal for roof lights and a lighted wreath to achieve that “classic Christmas” look. A nicely shaped spruce tree in front of the home may be the perfect focal point to start with. 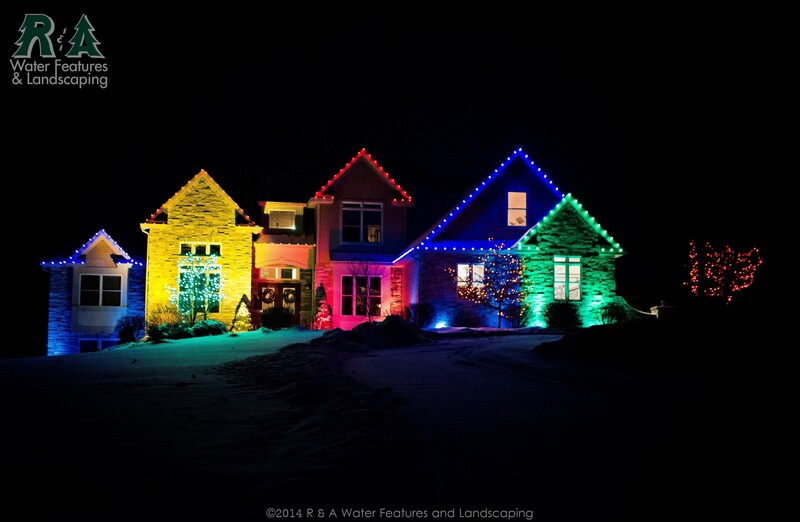 It’s the classic Christmas quandary-“Traditional warm-white lights for mom and dad, or color for the kids?” The answer…Both! 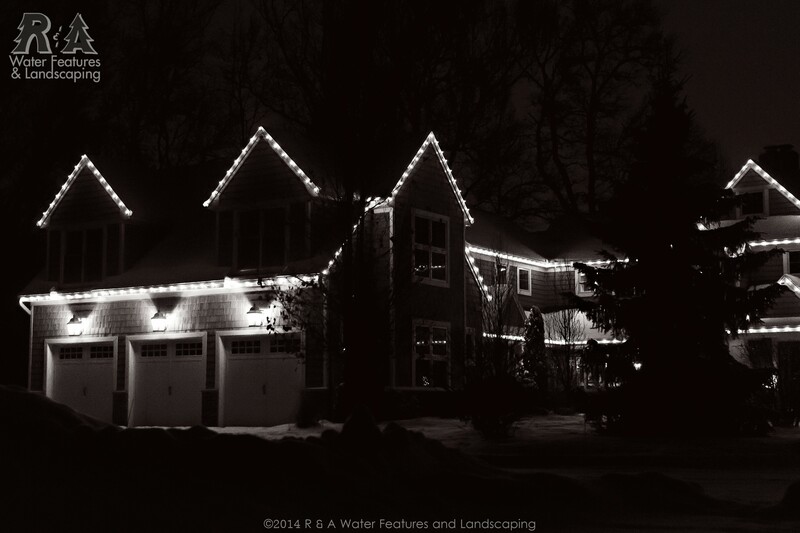 Some of our happiest clients use a warm white lighting scheme on the roof and greenery, and just have a couple small trees or shrubs done in red or green lights for the kids (Proper balance is the key). Everyone wins! For our clients who don’t want to be “just another decorated house in the row”, we try to identify something unique to their property. 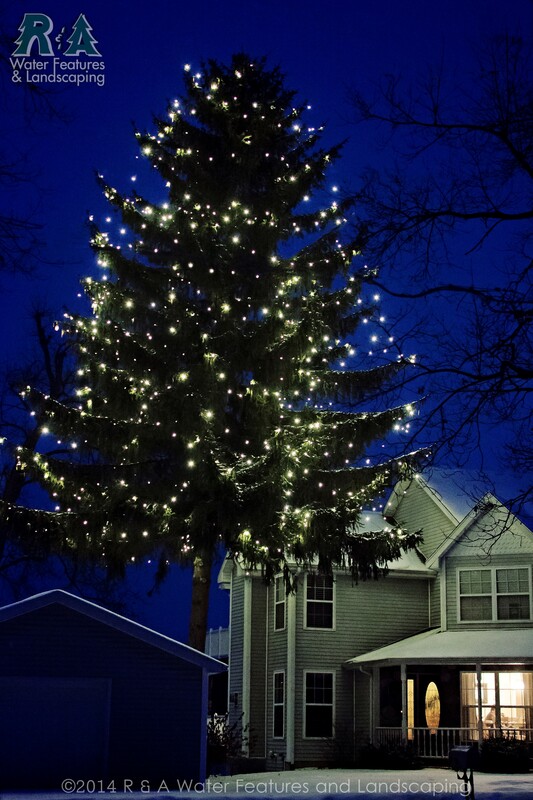 Here is an example of one of our clients that have a very large tree. When decorated and lit, you can’t pass by without looking twice. If you are still having trouble deciding, or need more ideas, contact us for more information.